With the Arizona Cardinals, Cleveland Browns, Green Bay Packers, Washington Redskins all on byes, and guys like Run DMC, Percy Harvin, and Antonio Brown all banged up, owners everywhere are going to need a quick-fix for week 10. Well do not fret, because I have a list of players who should help your team towards victory this weekend, and I will break them down by position. 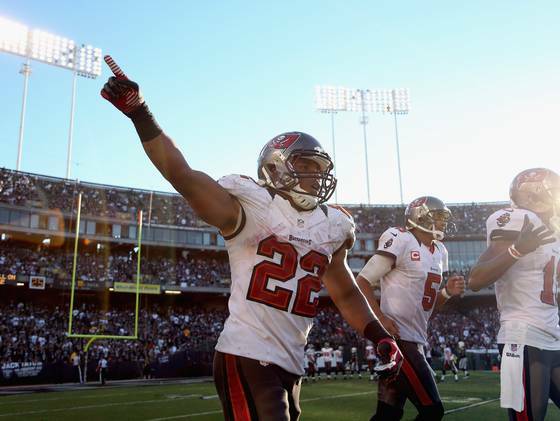 Doug Martin Explodes, but can he maintain? Martin walked off the field Sunday with every right to be this excited. For those of us who were able to watch or those of us stuck watching the stat line Sunday when the Bucs took on the Raiders, we all somehow saw Bucs rookie running back, Doug Martin, absolutely go off. Martin finished Sunday’s game with 251 yards on the ground and four touchdowns (70, 45, 67, and 1 yard runs). Martin set many records during his brilliant performance, such as compiling the most rushing yards ever in a game in Bucs history, becoming the first player ever in NFL history to score three touchdowns on runs of 45-plus yards, and putting together the fourth best fantasy football performance since 1970. 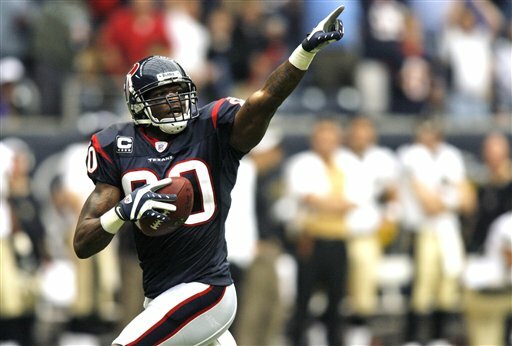 Martin’s 51 points (standard scoring leagues) on Sunday is tied with Corey Dillon’s 1997 performance, and only behind Clinton Portis (54 points), Shaun Alexander (52 points), and Jerry Rice (52 points). In fact, Martin is now the #1 RB in fantasy (1point ahead of Foster). But, can he maintain this level of play? I am of course no referring to Sunday’s performance, and I do not expect him to continuously put up over 50 points, but can he keep himself in the mix of the top RB? I say why not? Some may argue that with Carl Nicks out, Martin will not have the same blocking, but I say that it didn’t seem to bother him Sunday. It’s also worth noting that not only Martin, but also Freeman and the Bucs offense as a whole is on fire! The Bucs currently have the 9th total overall offense, averaging 376.6 yards of offense a game, with 131 (9th in NFL) of those coming on the ground and the reaming 245 (12th in NFL) through the air. They are also 5th in the NFL in scoring, averaging 28.3 ppg that puts them ahead of New Orleans, New York and Atlanta. With that offense so hot, teams cannot just key in on Martin, or Freeman will burn them deep. Martin’s schedule also speaks well to his chances, as 5 of his 8 remaining games are against teams that rank in the bottom half of the NFL in rush defense. Do not be shocked to see Martin as a top 5-7 RB come season’s end. When calculating top surprises and top let-downs it is important to understand exactly what the formula is. However, unlike all those dreadful math classes you took throughout school, this formula is easy to understand. In fact, it’s quite simple, the equation is as following: expectation vs. actual output. To make it even simpler, when determining a surprise or a let-down I look at what was expected from them entering the season, and what have they actually done. There are some players who have underperformed significantly, however it may have been due to injury (Greg Jennings) so players like that are not on this list. 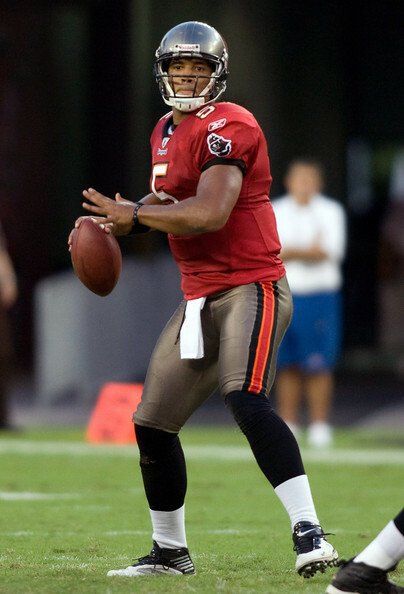 Josh Freeman: Fluke or For Real? After naming him one of my biggest sleepers of the entire 2012-13 NFL fantasy season, Tampa’s quarterback Josh Freeman has been on a tear as of late. Since Freeman is generally a back-up in most leagues (owned in 72%, only started in 15% of leagues) many owners are now wondering if they should give him a shot in the starting line-up. However, before they come to a conclusion on such a question they need to think of one thing, is Josh Freeman for real? Or is this just a fluke? It all started against the Chiefs in week 5, where Freeman threw for 328 yards, 3 touchdowns, and 1 interception on 15 of 26 passing. While the Chiefs team as a whole has been nothing to write home about this year, their pass-defense holds some validity thus far, as they rank 13th in the NFL only allowing 224.5 passing yards/game. The subsequent week, Freeman exploded against the Saints, out-slinging Drew Brees, as he threw for 420 yards and three touchdowns. Freeman also managed 13 yards on the ground, and was only sacked twice. 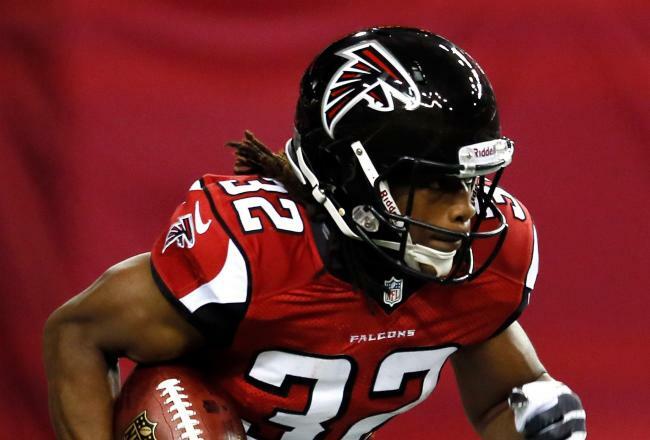 Then this past Thursday, Freeman had his third-consecutive 3-touchdown performance against a solid Vikings defense. The Vikings rank 12th in the NFL against the pass, 11th in points allowed with 20.8 ppg, and ranked 12th against opposing fantasy offenses. Yet none of that mattered to Freeman as he threw for 262 yards and three more touchdowns on his team’s way to victory over the Vikings, 38-17. Yet, I have a better question, why not? I believe Freeman is more than capable of continuing to put-up similar numbers throughout the rest of the season. Maybe he won’t be tossing-up three touchdowns and 300+ yards every game, but there is no reason he can’t be in that ball-park. 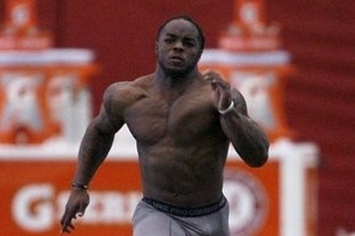 Trent Richardson left Sunday’s game with a rib-injury. During Sunday’s game against the Bengals, Trent left the game with a rib-injury and did not return. 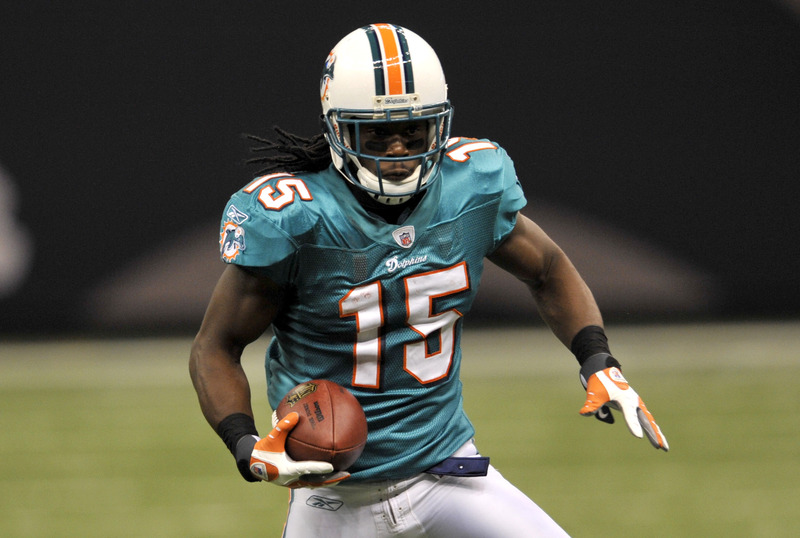 Since Richardson is owned in 100% of ESPN leagues and started in 98.6% of them, many owners where affected by his injury. However, owner’s stress-level should have come down a little after John Clayton reported that the rookie sensation should play this Sunday against the Colts. Clayton also reported there was no broken bones, just cartilage damage, and Richardson is day-to-day but is likely to play. DeMarco Murray left Sunday’s game with a foot-injury. Amidst a strong game vs. the Ravens, Murray left with a foot-injury, and did not return, leaving Felix Jones to take over in the backfield. ESPN.com reported that Murray is likely out this upcoming week against the Panthers, and that the team is likely to evaluate him on a week-to-week basis. Felix Jones- why not? He’ll be the only option and after a strong performance last week even when Murray was still in, Jones is likely to get most of, if not all, of the touches. 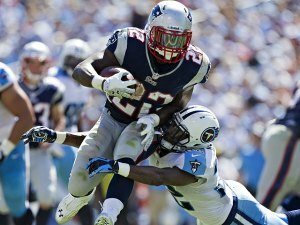 He also is facing the Panthers in week 7, who has conceded the 27th most point to fantasy RBs with 21.8 ppg. Vincent Ballard- who? He is Donald Brown’s replacement, with Brown out for another week or two after getting knee-surgery last week. Though Ballard struggled against the Jets (25 rushing yards and 17 receiving), so did his entire team. One promising thing is that despite his ineffectiveness, he got the majority of the carries and touches. This week he faces the Browns who rank 20th vs. opposing RBs in fantasy, and 25th in the NFL, allowing 131.ypg on the ground. 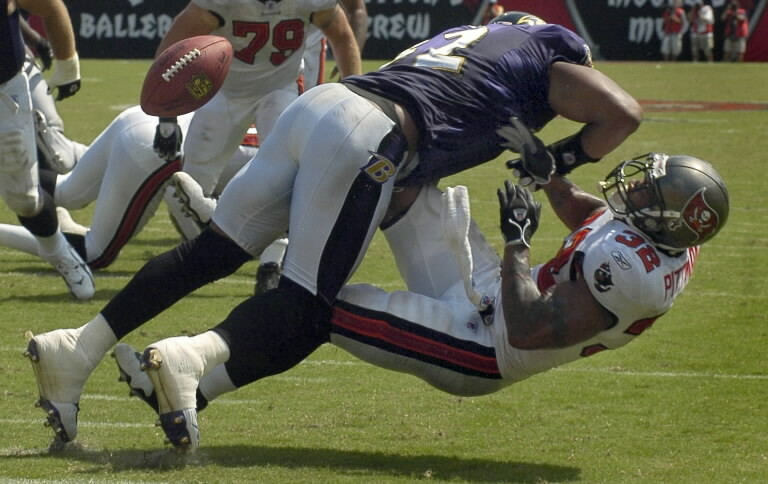 Ray Lewis and Lardarius Webb are out for the season. These injuries could be detrimental to the Ravens and owners who have them. Since they are owned in 100% of leagues, that means a lot of owners out there are affected, likely someone reading this. With the Ravens loosing their leader in Lewis and their top corner in Webb, it might be time to start looking for new defenses to start in week 7 since the Ravens will be taking on the Texans effective offense that ranks 10th in total offesne (363 yards/game) and 5th in scoring with 28.8 ppg. Vikings: Currently a top-10 defense in fantasy and facing the Cardinal’s in week 7, an offense that ranks 30th in the NFL with 283.0 ypg and tied for 26th with 18.3 ppg. Steven Jackson’s back-up Richardson is getting implemented into the offense more and more as the weeks come. After amassing 99 total yards last week versus the Dolphins, whose run-defense is highly underrated, and rotowire.com reporting that Jackson’s contract has been restructured to let him walk at the end of the season if he wishes, is it possible that Richardson will start seeing even more action? I believe so, and for those in need of a back-up RB or possible flex in deep leagues, I would recommend scooping Richardson before others become aware of him. After Manning’s neck-surgery, and ranking Rodgers my biggest let-down thus far, these elite QBs look to be back to their old ways. After 41 points through his first 3 weeks, Rodgers has since scored 89 points in the last three weeks. He went from #19 QB in fantasy, to now being ranked #2. He also went from not even being in the top-10 in QB rating, to now being ranked #1. Manning has also been on a tear since his shaky start versus the Falcons. After that 3-int performance, in Manning’s last 4 games he has thrown for 1,314 yards in addition to his 11 Tds and 1 int. During this hot-streak, Manning has moved up the fantasy rankings, now the #3 QB in fantasy football. 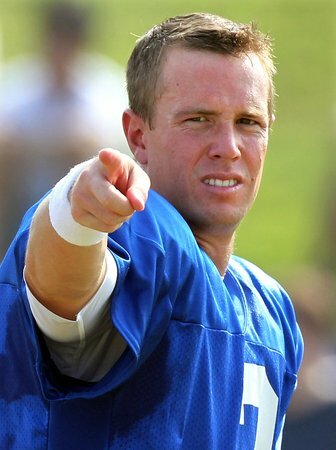 Ryan, in standard scoring leagues, is currently the second ranked player overall in fantasy, 6 points behind Drew Brees. 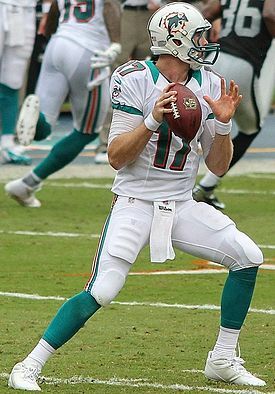 He is also second in the NFL in passer rating, third in passing yards, fifth in completion %, and second in touchdown passes. So why wouldn’t I love him each and every week, and why week 6 more than others? 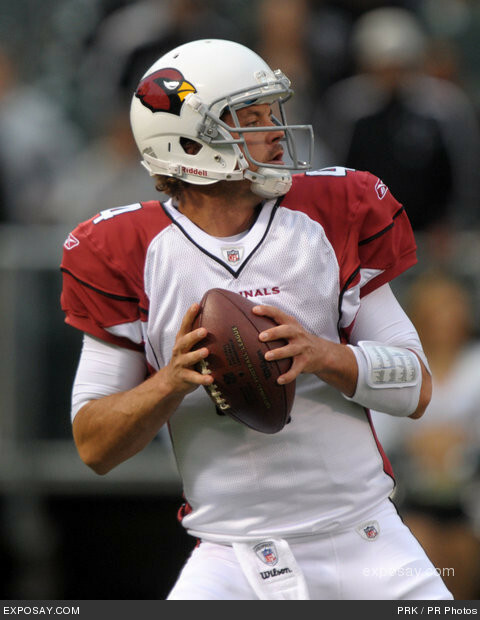 rank 24th in the NFL in passing yards allowed/game with 277 yards.